Investing for Success is a new show that brings an honest and forward-thinking perspective that challenges the main stream advice we’ve all been given on money, investing, and the economy. 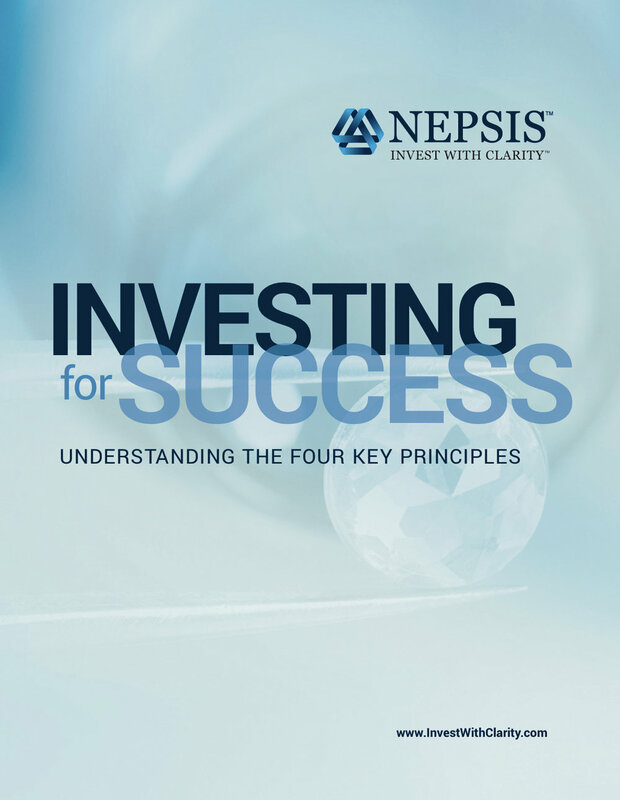 Mark Pearson, Founder and President of Nepsis, Inc. empowers you with news, insights and the knowledge that he has gained from his 20 plus years of experience to help you learn the ins and outs of investing and why clarity is a crucial component to achieving a successful investment portfolio. Each day, Mark looks at a full spectrum of the day's hottest topics in Dollars & Sense...No Sense, Nonsense and Common Sense™, a new segment that answers your important questions and gives you some financial peace-of-mind. He'll also wrap up the work week every Friday with a critique of claims and headlines made by the financial press in The Headline vs The Bottom Line®. Mark covers the following topics: Financial Planning & Investing, Retirement & Estate Planning, Insurance, Tax & Finance, Life Events, and Home & Mortgage. Is your portfolio doing the best it can? know more about what they own and why they own it. Quarterly thematic research papers written to assist investors as it pertains to behavioral missteps caused by confusion and ambiguity. An in-depth narrative on pertinent market topics written from our own unique perspective. The Compass serves as our market commentary and provides investors a directional tool to navigate through the plethora of market noise. Our Nepsis Quarterly Update is provided to investors of Nepsis. It provides information regarding the markets, investment decisions and other content to help them Invest With Clarity™. The Nepsis Resource Center is the main hub for news, updates, blog posts, videos, and important forms from our team. or submit suggestions about future topics for the show. Thank you! Mark will do his best to answer your questions during an upcoming episode of Investing for Success or will respond to you directly via email.